Ideal for maintaining and charging 48v Battery Packs, but not meant to replace your normal charger for high amp/hr battery packs. The Battery Saver™ 2365-48 Charger is a 50 watt voltage specific 48 Volt charger and maintainer for battery systems with a 48 Volt output (4x 12V, 6x 8v, or 8x 6V). The 50 watt design is powerful enough to safely and easily maintain each battery in the system! 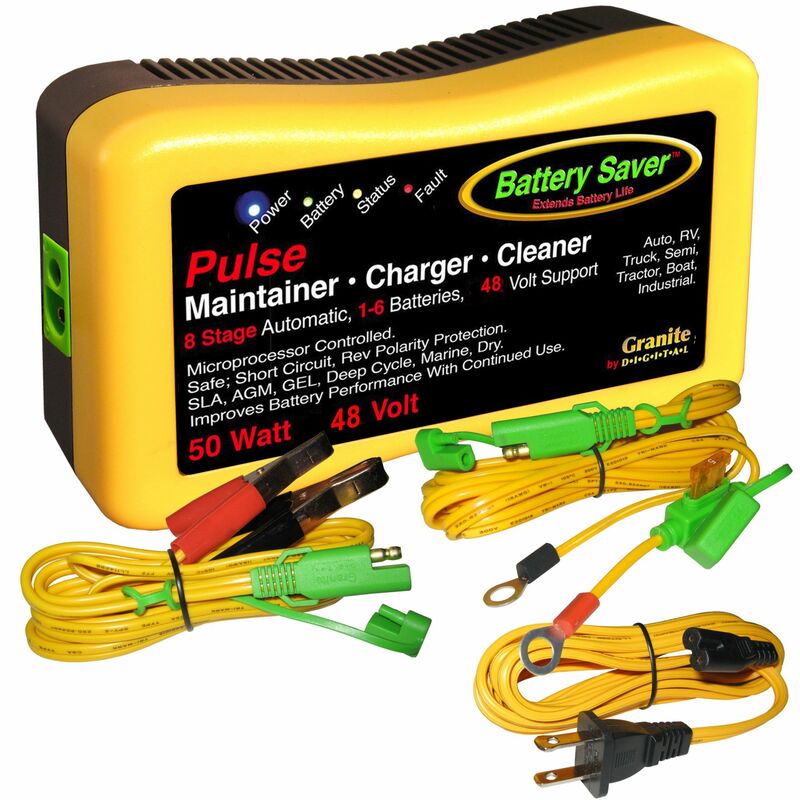 The 48 Volt Charger model design features our signature Auto-Pulse cleaning desulfation technology, micro processor control and can automatically recognize most batteries, regardless of size or type, and will switch to the correct charging setting when connected. The Pulse Cleaner will remove lead sulfate from your battery's plates while maintaining, giving you a much healthier battery for longer. 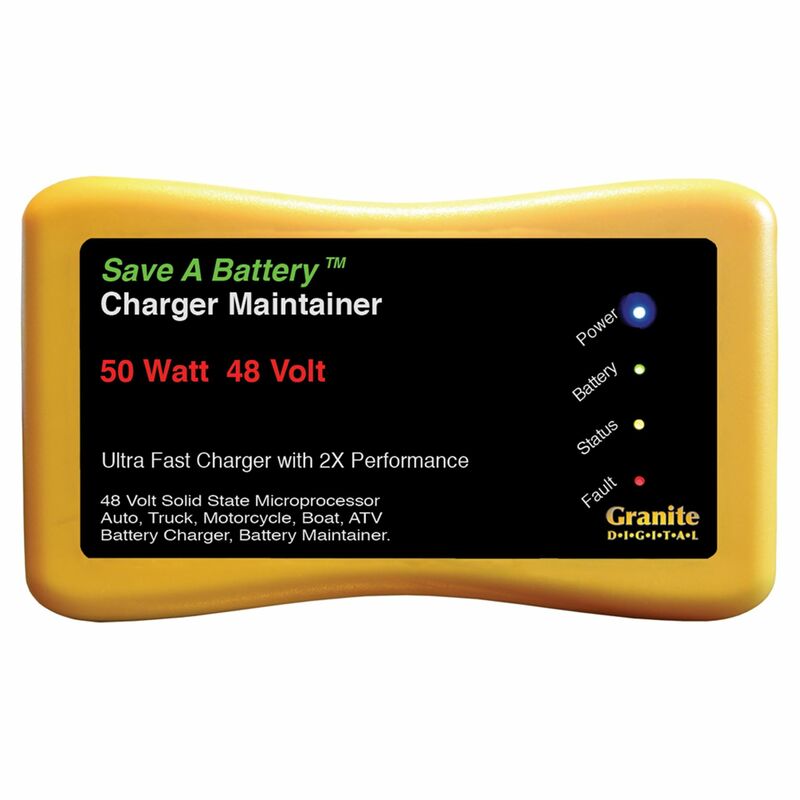 The 48 volt Battery Saver is ideal for most 48 volt systems such as maintaining golf cart batteries in the off-season. It will keep your battery system fully charged and in peak condition for when you need it. Do you own the 2365-48? Please, tell us what you think about it. It helps us provide you with better products. Please note that it may take up to 72 hours for your review to appear.